Five of us set out from Rippleside – Trish & Shane Balkin, Russell Ison, Rod Charles & I. We picked John Miro up on the Ted Wilson Trail (he wasn’t feeling that well and slept in). We got to Fyansford just as some rain set in. After coffee, still drizzling but cleared as we went along the river. I cut the ride short because of people’s commitments, so turned at Balyang and went up Pako. 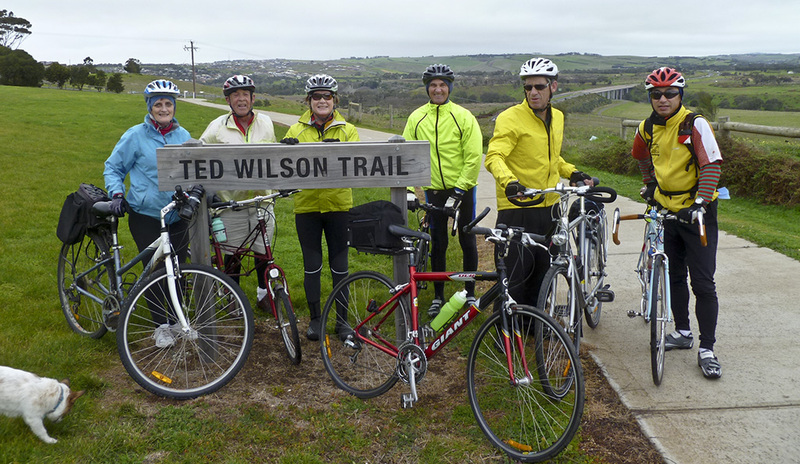 It was another great ride in memory of Ted.